What is CRM? What is does that C represent? According to the industry, the C stands for Customer; however, we believe it is so much more than that. Customer Relationship Management is a term used to describe software designed to track and manage customer relationships. In our opinion, the C in CRM broadens the definition to encompass what that relationship is. So, what is the power of C? I’d say, C is more than just a letter, it’s a power letter, and it definitely stands for more than just “Cookie”. Why is it so powerful? This C gives you the power to engage with your customer in a way that was once foreign to business operations. The data that a ‘Complete’ CRM compiles in a day can bring you closer to your customers and potential leads than ever before. Collabration: With robust data, you are able to better collaborate with your team about what is working and what is not. Working together and collaborating with your team stimulates creativity; a tighter company culture and understanding of your company’s structure and purpose. Connection:Being able to connect with your customer on any number of platforms creates convenience for your customer, and therefore a better customer experience. You want to give your leads and clients the ability to connect with you the way THEY feel most comfortable. This means via social media, your website, newsletters, live chat, email, phone support, etc. Connectivity also happens from the inside as well. When all members of a team are connected, they have a better idea of what is happening at every touch point. Creativity: All of this data tells you so much about the behaviors of your customer and can trigger your team to creatively think about ways to reach out and connect with your customers in different ways. Whether with sales, marketing, or even ways to improve internal operations, creative businesses thrive because of their ability to think out of the box. Complete: Complete is to have every single bit of information available at your fingertips, with the ability to operate and manage all aspects of your business from one platform. Complete is the power to know the behaviors, demographics, preferences, and activities of both your leads and customers. This knowledge enables a business to not only market and sell more efficiently, but more importantly, provide the best customer experience across all touch points. As you can see, the ‘C’ in CRM, is so much more than customer, it is the foundation of your business. We want to give you a challenge. 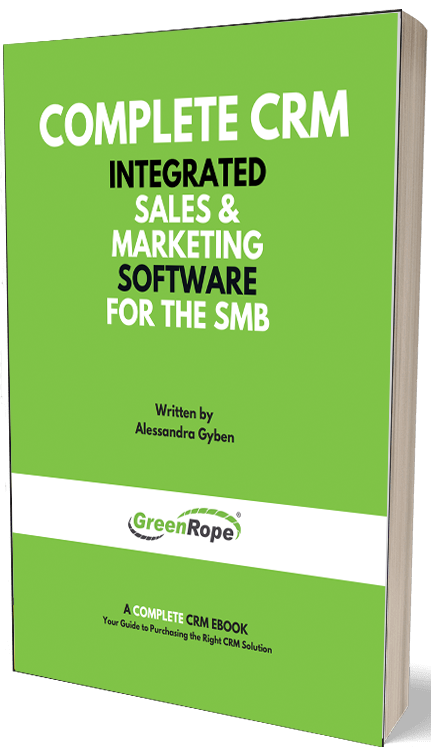 GreenRope challenges you to focus less on guiding your customer, but letting your customer drive you. Get to know them, get to know their behaviors, their likes, and even personal preferences! We also challenge you to sit down with your team and collaboratively brainstorm. This more networked structure allows everyone to be more in tune with what is going on, both internally and externally. May the Power of the C be with you!